One of the main concerns for passengers coming to your airport is: “Is my flight on time?” Not only because they feel a flight should be on time, but also because they use this to plan their arrival to the airport. Making that information easily accessible via mobile applications helps with passengers’ experience and overall satisfaction. Most airports post real time flight information on their websites. Passengers use this a lot, to plan their trip to the airport. But it is not always easy to find the right information, when you access the website through a mobile phone. Most websites are built for viewing on a large screen. Having a mobile website or a responsive website – one that adepts to the device used to access it – can help passengers get easy access to relevant information. However, web browsers on smaller mobile devices such as mobile phones, take up precious screen space that you would rather use for displaying your information. Another complicating factor is access to mobile networks. Each time a visitor connects to the website, all data has to be downloaded, both static and real-time information. In some parts of the world mobile networks are not that widely available or have no high-speed internet. Mobile applications can be a big help with this. They usually have a user-friendly interface, allow easy access to a mobile device’s native functionality such as notifications, location services, can provide much more information other than just real time flight times. 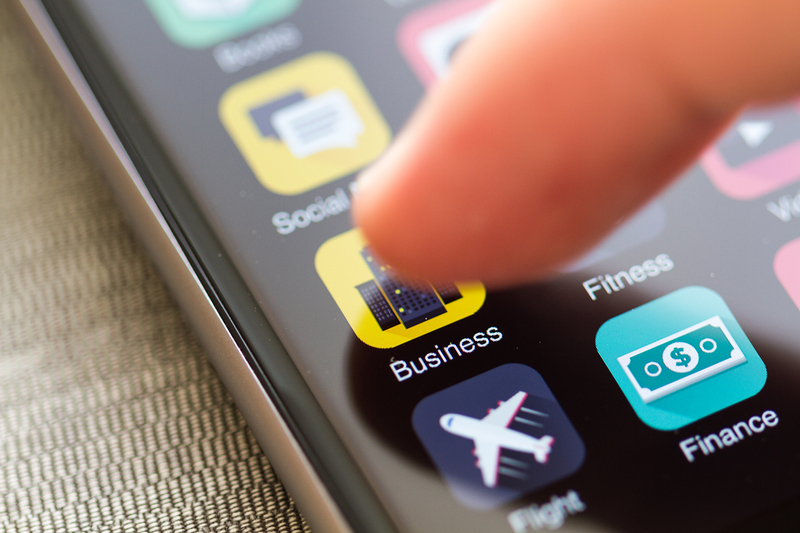 Since mobile applications already contain all the static information that is also on websites – they store it on the mobile device – the apps have to download a lot less data when they connect to the internet, making them much faster to get the right information to passengers. At the same time apps provide a faster and more fluent user experience. They also can give an airport extra options for marketing purposes or upsell opportunities. The soon to be launched mobile application Adecs Airinfra built for Rotterdam The Hague Airport for instance, gives users real time flight information and additional information useful for passengers (check-in counters and information about baggage belts), and also opportunities for parking reservations and flight bookings, including special offers and general information about the airport. A mobile website or an application? When you are considering introducing an application or a mobile version of the website to provide information for passengers, off course you have to take in account the maintenance of the features. For a mobile website it might be easier, since websites are platform independent. Updating it can be done from one location and has to be done only once. With an application, it usually means that you have to develop more than one, because of the different platforms they have to run on: Apple, Google or Windows. That means when you update the application, you have to do it for all platforms. Every airport must make its own choice depending on its business strategy, marketing goals, and brand positioning. The choice is not about picking one of the two, but rather about finding the right solution that will provide the best results for your use cases. Besides, a mobile strategy can reasonably include both a mobile website and an app. In any case, both mobile applications and a website rely on the accessibility of data and resources from all the partners on the airfield, especially real time data and passenger-related information. The Rotterdam The Hague Airport mobile application is integrated with their Airport Operational Database (AODB) management system. All resources come together in this system and can be easily shared between partners on the airfield and the connected applications. Making flight information as accurate as possible and consistent over the different passenger information channels such as FIDS, apps, public announcement system, website and videotext. AODB management systems streamline operations on the airport and make it possible to share information between partners. That same data can also be used to provide important information to passengers in an accessible way, thanks to an integration with mobile applications, FIDS, apps, public announcement system, website and videotext. Our solutions for data sharing can help airports to become more efficient and provide more real time information to passengers in an even easier way. If you want more details or would like a consultation related to this topic, do contact us. Our team will be glad to help you.